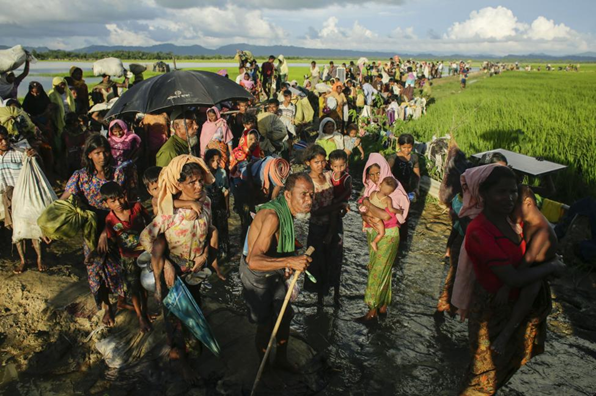 Heavenly Father, today we pray for the Rohingya people. Last week an estimated 30 Rohingya bamboo workers were killed during an aerial assault by the Myanmar military. This latest attack is just part of a growing conflict in western Myanmar. Over the past few years, nearly a quarter million Rohingya have been displaced from their homes and villages and thousands more have died. Father, this is a people that desperately needs you to intervene on their behalf. They are without a land to call their own, fleeing to neighboring Bangladesh or living along the border. We pray that this violence will end. We pray that the Rohingya people can return to their land and live in peace. We pray that you sustain them and provide for them during this time of crisis. We lift them up in Jesus' name, amen.